Review session notes, readings assigned and other reference materials from classes. Record in your Reflective Journal comprehensive notes while implementing your Project: Whjppens, challenges and successes, feedback and feed forward you receive plus your thes_eevents in detailand as soon as possible afteih occur. 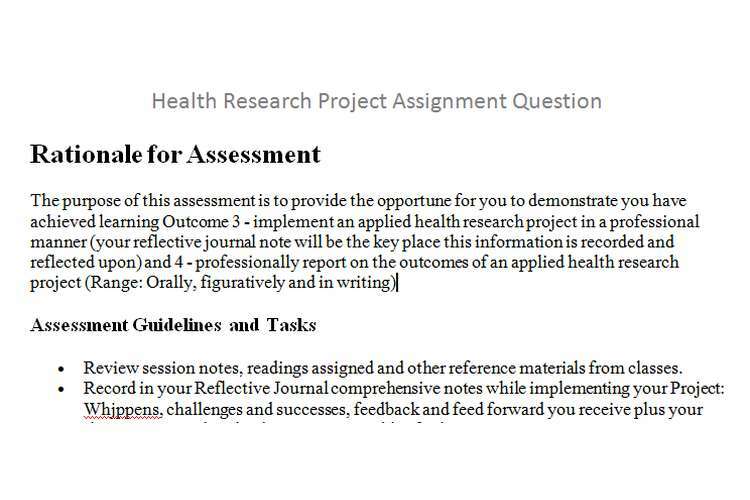 Review notes and learning achieved from doing the Formative Assessment Task 2.
Review 3 and analyse what the outcome of your research project was: !eda.ana summarise findings and make recommendations. Reflect on the best way to orally and in writing present both what you have learnt from implementing this project plus what the outcomes of your research was to a protessonal audience of peers orally and in writing. Formulate your presentations. practice their delivery (gathering feedback and teed forward from others to improve your presentation quality) and present.